The Barracuda was a two door muscle car that was produced by Plymouth from 1964-1974. The first Barracuda was a fastback coupe that was based off the Plymouth Valiant and came out in 1964. The car’s powertrain was identical to an earlier car, the Plymouth Valiant. The standard engine had a piston displacement of 170 cu in and an output of 101 bhp. The Formula S was introduced n 1965 with a bigger engine, new suspension and bigger tires in an effort to compete with the Ford Mustang. The second generation was radically redesigned and came in fastback, notch back and convertible variations. The second generation had a production run from 1967- 1969 and was really popular with muscle heads. The 1967 Barracuda had a larger wheelbase and was still based on the Valiant design. 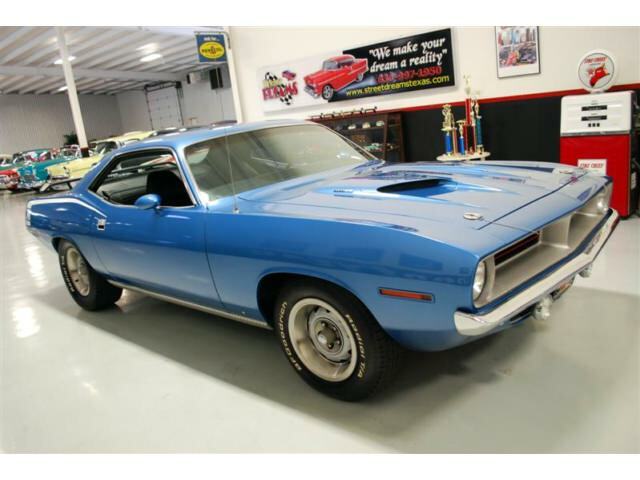 The second generation of Barracuda cars were the first cars to face U.S Federal safety standards but that did not stop Plymouth from increasing the engines horsepower, as muscle cars began to grab hold of the industry. The last new design was introduced in 1970 and was the first to not feature the Valiant design. The original fastback design was removed and the car was only available in convertibles and coupes. The car shared the same platform as the new Dodge Challenger and had a slight decrease in performance from earlier years.